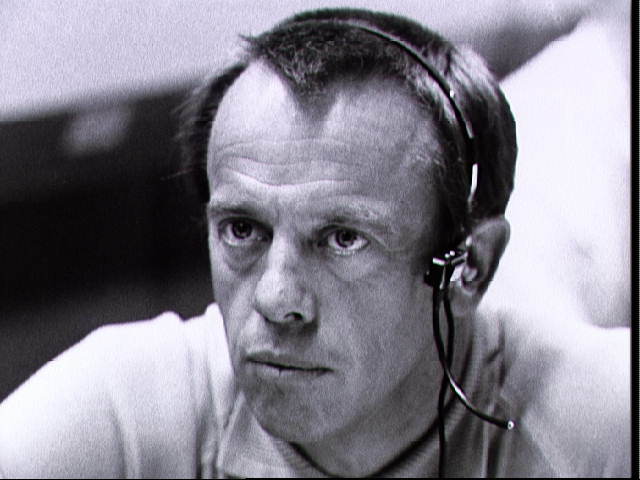 Astronaut Alan B. Shepard Jr., prime crew commander of the Apollo 14 mission, monitors communications between the Apollo 13 spacecraft and Mission Control Center (MCC). He is seated at a console in the Mission Operations Control Room of the MCC. The main concern of the moment was action taken by the Apollo 13 crewment to make corrections inside the spacecraft following discovery of an oxygen cell failure several hours earlier.